Google has recently and finally corrected the map of Morocco after years of requesting so from Google company but only on “google maps” at the mobile application and not on computers, for the moment. 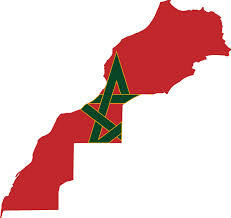 The map of Morocco was split on two sides where the Moroccan sahara was not identified to Morocco, which causes many problems at many subjects. We indubitably know how extreme & how much important The Moroccan Sahara issue is not only for the people of morocco but also for the people of Algeria and it has become a public and universal matter. Especially that a lot of communities are using google maps as a reference. Personaly, I think that this is a good step to combine our territory and identify The Moroccan Territorial unity on media and on internet. So we’re glad that finally google had corrected the error on the mobile application and we want it to be corrected on computers as well. Thank you Google. Previous Post Monday Quote: The world lasts for two days! !